Last weekend I had my first class in free-motion quilting for beginners at my Quilters Guild in Mora. Boy what fun we had! 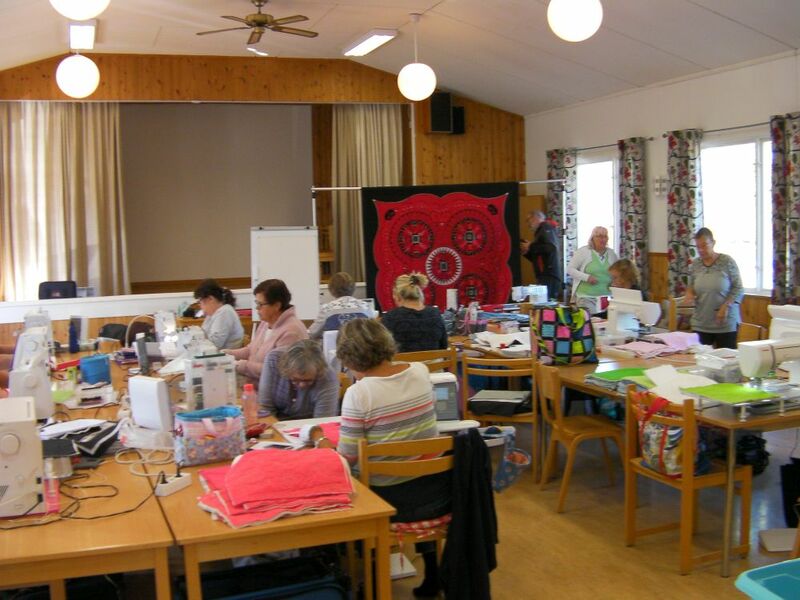 And what talented Quilters we have in our Guild! The two days were full packed with cool and easy designs and lot´s of info. I have to admit I was a little bit nervous as the date came closer, but it was no need to be. It was my first class in Swedish and everything went absolutely fine. Have a great weekend and happy quilting!